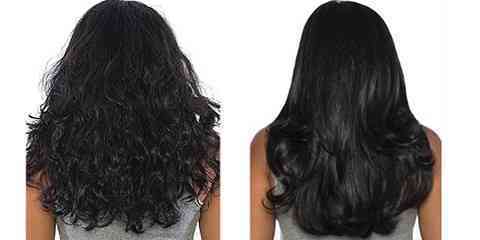 Keratin treatment on natural hair is one of the best treatments for hair to get your hair strengthened and conditions. Every people, especially women, must be dreaming of having beautiful soft strong hair. They will do any hair treatment they can to get the hair they want to as the health of hair has to be maintained just like we maintain the health of our body. One of the treatments for hair is using keratin. What is keratin and what advantages we can obtain from applying keratin treatment will be deliberated here in this article. Having beautiful soft shiny hair is probably every woman’s dream but not every of them is born with beautiful hair. It is not every one can maintain the beauty of their hair. Environment, chemicals and environmental factors play a role in the damage of your hair. Too much hair stylings, or exposing hair to heat in a long period of time can lead to hair damage. There are plenty of hair treatments you can try in order to get your hair strengthened and shimmered. One of those treatments is keratin treatment. You must have heard it before as keratin is very popular in the world of hair treatment. What is keratin? 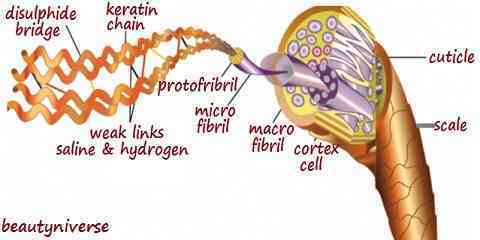 Keratin is hair protein. 90% of our hair is made up from keratin. It is the chief structural elements of our hair, nails, and skin. Keratin is a key constituent of keratin straightening treatment; however, it is not a straightener for your hair. It is only a protein you find in your hair, nails, and skin. In other words, keratin is one of the ingredients in the hair straightening products and process. Keratin has a definite role in the hair treatment as it strengthens and conditions the hair. It helps your hair get straight after the actual treatment damages it. 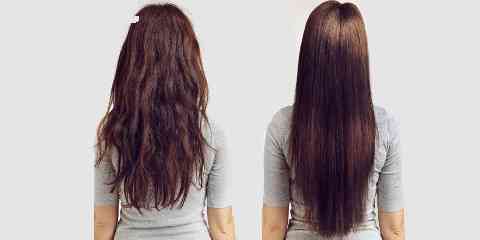 Is Keratin Treatment Good for Our Natural Hair? Most people have a false understanding between keratin straightening treatment and actual protein treatment. Keratin itself is impressive protein treatment. If you find keratin straightening treatment, you will see that there are harsh ingredients added. So it’s not the actual keratin protein in the products. Keratin is naturally found in our hair, nails, and skin. Keratin treatment is simply putting back the protein, which may be lost because of age and chemical exposure, into your hair. It fills in the porosity of your hair. Too much porosity in your hair cause tangles, breakage, and curled to your hair. Applying keratin treatment can rebuild the damaged areas of your hair. So you can anticipate a much better look of your hair after treatment as it is shinier, has less frizz, and it is easier to style it up. Keratin treatment can be done as one of hair treatment options in order to bring back shine and smoothness in your hair. Don’t let your damaged hair stay in the terrible condition for quite some time. 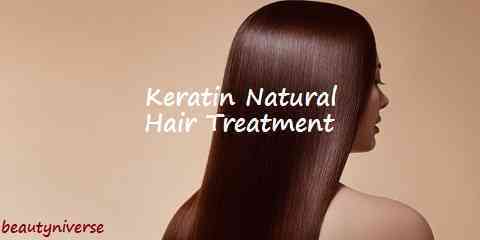 Do an immediate action by applying keratin natural hair treatment.